Hello everyone, this is Yana Smakula sharing another card making video tutorial. This week we are talking Christmas in July and while it might seem a bit too early for Christmas cards and such I always try to start my Holiday card making well in advance to avoid surprises during a hectic Holiday season. If you prefer to make your Christmas cards in the Fall you can always bookmark or pin this tutorial and come back to it later. One of my most favorite collections from Spellbinders is the Art Deco line by Stacey Caron. It helps to add an unexpected twist to card making. 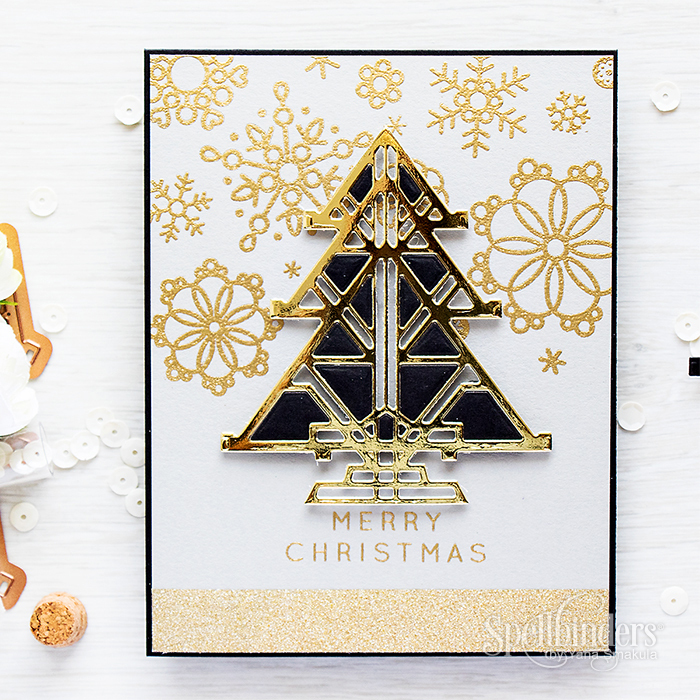 I was happy to see Art Deco Trees in the Holiday 2016 line and those are the dies I used to create a card I’m sharing today. 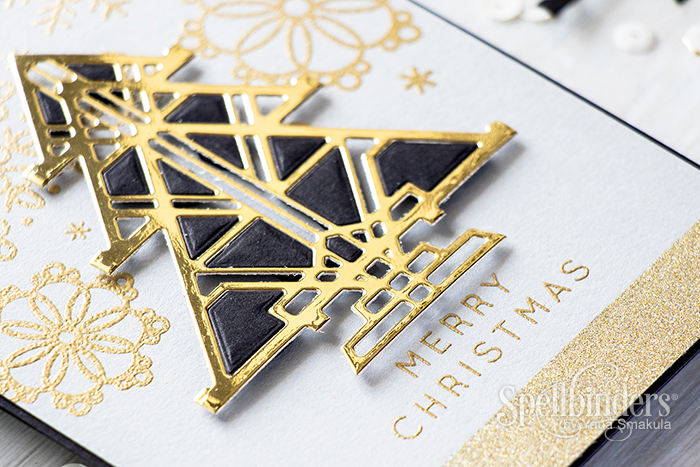 In my video tutorial I’m showing an easier way to do inlaid die cutting technique and I’m inlaying black negatives inside a gold positive die cut to create an elegant Art Deco Christmas Tree. 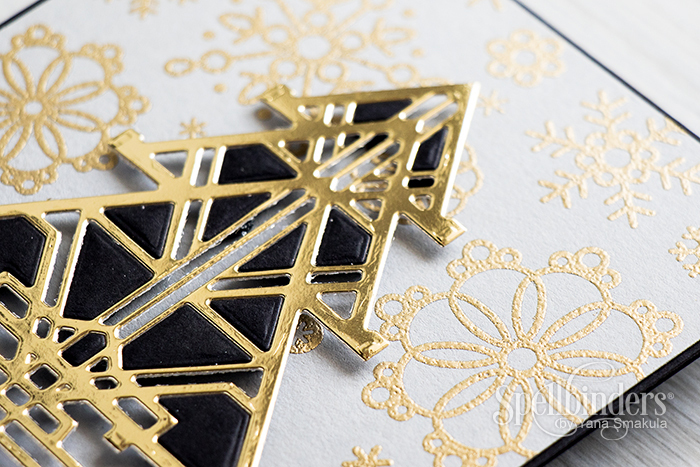 Black, gray cardstock; Gold mirror cardstock; Gold glitter paper; Clear stamp (Simon Says Stamp – Gifts of Love, Cute Snowflakes); Clear embossing ink; Gold embossing powder; Foam adhesive; Tape runner.